Make balloons come to life with these 42 centimetre white stick & cup set. 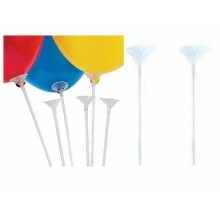 Children will love to walk around holding a balloon. Conveniently sold as a set (stick & cup together).